A beautiful illusion. Love your “Moonrise” An excellent post. Laura I think you’re great and am the more appreciative for your very kind words today. Please do create art every day and keep letting us in on your accomplishments. I’ve never blogged about synesthesia, Lance. I only learned the word a couple of years ago, and like you, I looked it up. It was fun to learn about something I had been experiencing my whole life, but never had the word for it. I think there are some musicians who have theories that certain tones/notes are colors, or that there are parallels to sound waves and light waves of the visible spectrum. One of them even painted the notes on a piano keyboard to go along with his theories, but I don’t remember his name! Lance, you have a distinct style that immediately draws me in to the experience of your landscape. I’m there. I can feel the coolness and see the moon, the experience of the trees, etc. It’s crisp, yet fuzzy. I think Rebecca is right; it’s the depth of texture. And the way you use light, too, also inspirational. I am really trying to study the work of artists whose work I admire and trying to pull these things forward to my work, such as it is at this stage. Anyway, I wanted to thank you for always inspiring me with your posts. I hope you have a terrific weekend. Rebecca, THANK YOU again for stopping by and commenting and sharing. Those collage example are by two different Sheri/Shari ‘s — two different painters. Each have a unique approach. I think you might rather love this form of expression, and do hope you try it out. How utterly fascinating. If you’ve blogged about this, please guide me to the posting? And if you haven’t, it would be so intriguing to hear (see, touch, smell) more! Thank you for sharing this – I had no idea about these techniques, and Sheri’s pictures are beautiful. 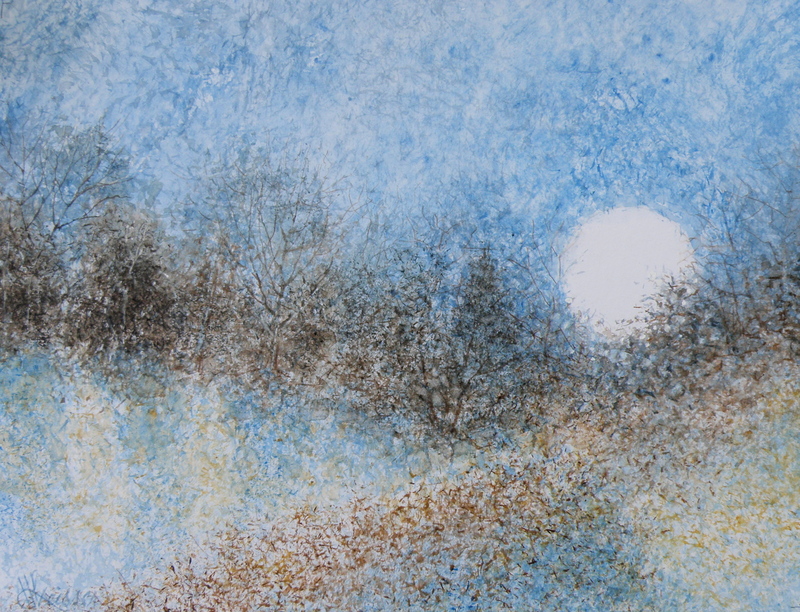 I also love your Moonrise; so much texture in a watercolour! 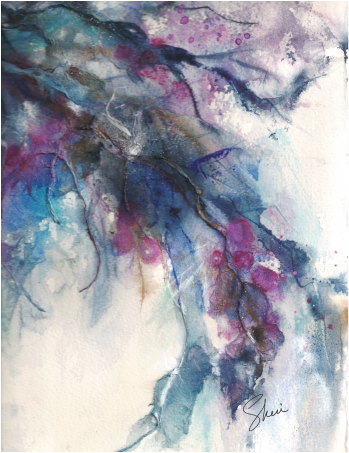 But there is great “texture” in this painting….I touch it with my eyes. Synesthesia, or the mixing-up of the senses…hearing colors, touching sounds…seeing the days of the week, or numbers as colors, is something I experience. 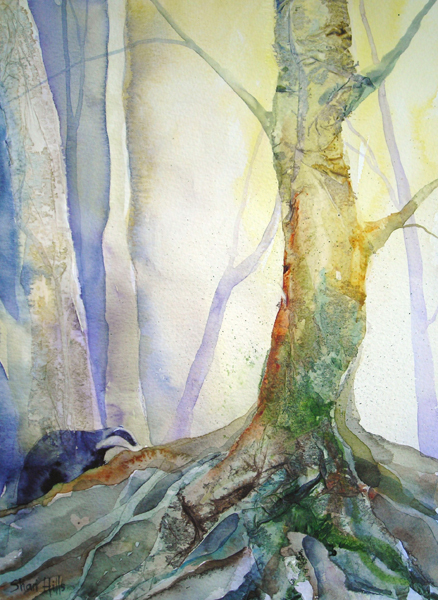 Maybe not everyone does experience synesthesia, but it probably can work well for the watercolorist….